We combine stimulating virtual reality applications with an athletic virtual reality headset to convert repetitive stationary exercise into an immersive, interactive, and social training experience. We offer a multiple interaction system which includes an athletic mobile virtual reality headset and mobile phone virtual reality app(s). This setup improves indoor cardiovascular training through an immersive experience which includes: sensory motivation, social fitness communities, and feedback/comparison of user data according to the needs of varying profiles of athletes and coaches. Train within a community and compete. Access to data analysis, helping you improve your workouts and health. Workouts developed by professional trainers. 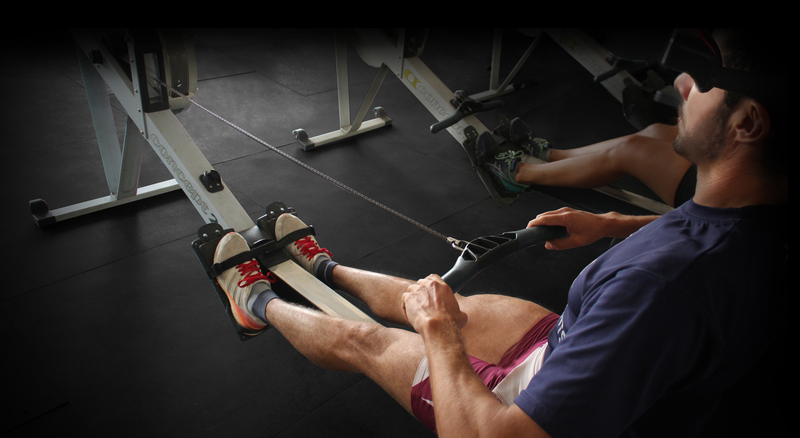 The Intero smartphone apps are compatible with the Concept2 indoor Rowing Erg, Ski Erg, and Bike erg. Intero has been implemented in a number of gyms which can be located on the map. Many athletes have reached their personal records using the Intero system. Intero has developed the first VR athletic headset. This headset has a state-of-the-art ventilation system which extracts warm air and allows cool air to enter. This helps the lenses defog and keeps your face fresh. The average VR headset will make your face sweaty and uncomfortable. The Intero headset is 3 times lighter than the lightest headsets on the market, weighting only 50 grams. You will hardly notice it on your face. You can order the Intero headset on our website. 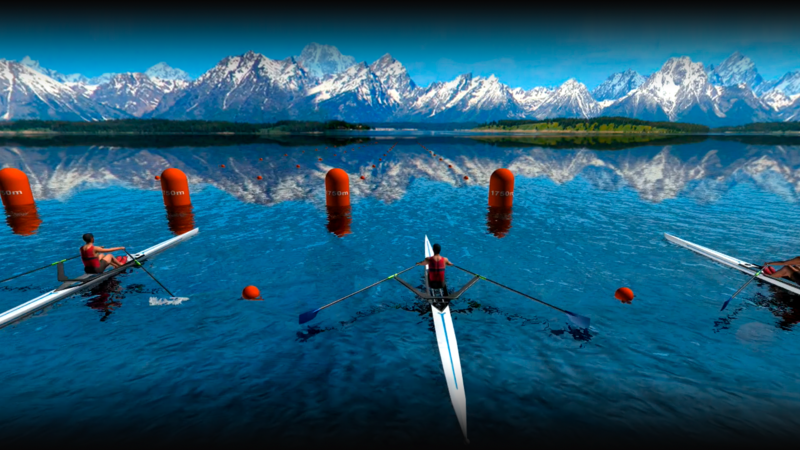 We have developed skiing and rowing applications which sync with Concept2 machines through Bluetooth in realtime. These apps allow you to exercise in immersive, stimulating environments with friends or other athletes. If the user wishes, the VR functionality can be toggled off, and you can simply watch the animations on your phone. You can download these apps on our website or through the iOS or Android store. Join us to live this amazing experience! We have flexible membership packages to suit all levels of training to help achieve your fitness goals. Athletic research shows that we train better with others. Users reach their personal records in virtual training environments. Staying stimulated is key to getting fit and staying active. Song and sound synchronization tricks your brain into performing better.